The Asset Torrejon Hotel is located in Torrejon de Ardoz making it one of the best hotels to stay at while in town. All hotel's guestrooms have all the conveniences expected in a hotel in its class to suit guests' utmost comforts. 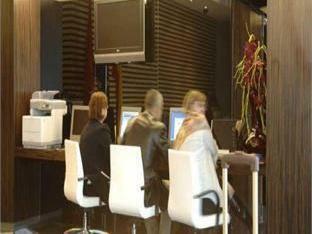 Each of the hotel's guestrooms offers air conditioning, non smoking rooms, desk, daily newspaper. This beautiful Torrejon de Ardoz accommodation provides room service, restaurant, meeting facilities to suit all guests' utmost convenience. To unwind, guests can enjoy the leisure facilities provided on the hotel's property, including sauna, massage. Modern comfort and convenience are seamlessly combined to ensure the guests' satisfaction. For your reservation at the Asset Torrejon Hotel, simply submit your dates and complete our secure online booking form.